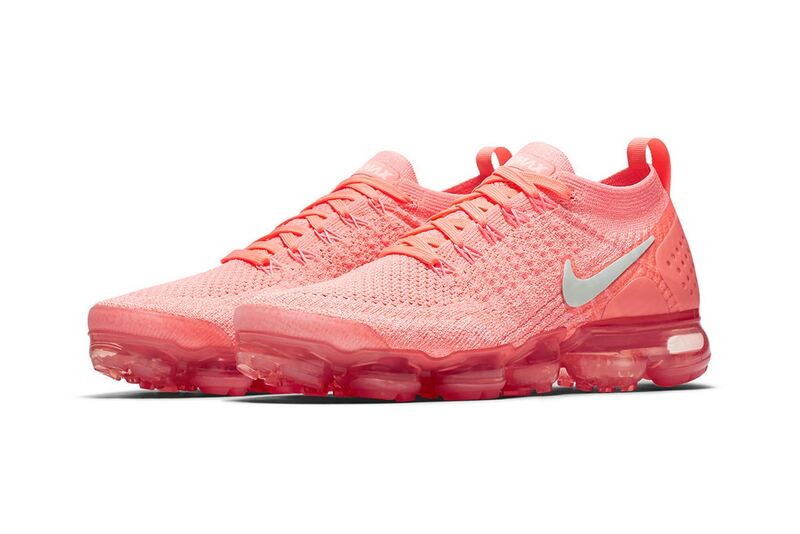 Nike has shared a new model of their Air VaporMax Flyknit 2.0 in a “Crimson Pulse” colorway option. On this one the upper feature the Swoosh brand’s signature Flyknit construction all throughout with a matching-hued heel counter sitting behind. Subtle hits of white landing on the side panel Swoosh and Air Max tongue branding provides some tonal contrast.